If you’ve ever been involved in web design project management, you’d agree with me that it could be quite demanding getting to understand what the client really needs. However, in this piece, it turns out that you can get efficient and effective in your turnaround time with website design projects for the customer. This article will give you some light into what you need to do to. Habit number 5 of Steven R. Covey’s “The 7 Habits of Highly Effective People” states “Seek first to understand, then to be understood”. This principle is the key to effective interpersonal relationship with the customer. Part of understanding the client starts with a good diagnoses. We often fail to take the time to diagnose, to really, deeply understand the project at hand. We spend years learning how to read and write, years learning how to speak. What training or education have you had that enables you to listen so that you really, deeply understand another human being from that individual’s own frame of reference or point of view? It is important that as design consultants, we have to build the skills of emphatic listening on a continuous basis throughout the project. This will inspire openness and trust across board. And you have to build the Emotional Bank Accounts, EBA, that creates a commerce between hearts. Empathic listening is the highest level of communication with the client that should be practiced regularly as web design consultants. The greatest need of a human being is psychological survival which is to be understood, affirmed, validated and appreciated. As design consultant, we must seek to reinforce this need in our relationship with the client especially at the initial stages of any project we are involved in. An amateur designer convinces the client about a great design, a professional consultant sells solution to needs, challenges and objectives of the customer. The idea is that you must first understand what the client really needs or what problem he plans on solving by the design project at hand. Questions are the answers if they are properly prepared. As Design Consultants, we need to know how to ask questions that would greatly influence the direction of our design projects for the customer. With powerful, informed and appropriate questions, Design Consultants can be opportuned to begin a very meaningful and beneficial Design presentation. Meaningful because you need to get the idea approved, beneficial because the client or customer will get a very important need met. Questions allow us to gather important information, which enables us to help our clients establish trust throughout the design project. Questions demonstrate that the purpose of our call is to find the prospect’s needs and interests while gathering information, so that together we learn how our services meet the prospect’s need (solve the problem). You have to ask emotional based questions like “How do you feel about the current design of you website?” With this type of approach, you learn how the customer feels and you are more likely to find out what the person thinks. All humans are first emotional before being logical. With this understanding, you ought to appeal to their emotions with great questions about them. Remember, it’s all about them –the customer. “Are you interested in saving money?” Who isn’t? These questions give the client, prospect or customer freedom of expression. No constraint. How do you see your responsibility changing in the next five years? What are your goals regarding your area of responsibility? What do you think are the greatest challenges facing you and your organisation over the next six months? How long have you had this website running? How does your IT department compare to other units of your company? Since your goal is to increase profits and patronage via your website, how would do you think we can fit into the picture to bring your goal to reality? i). 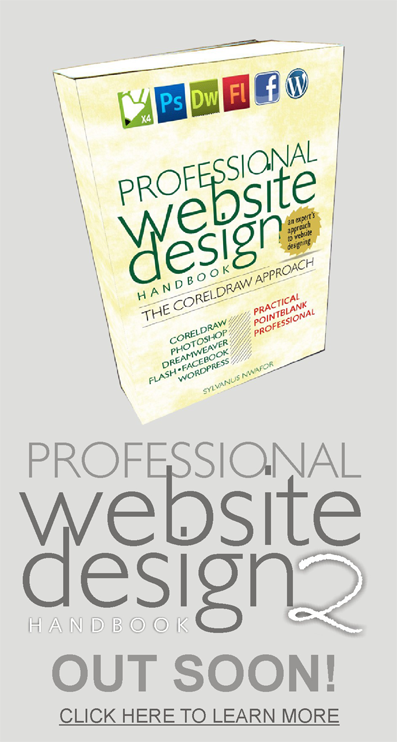 Do you agree that our website design company will save you money? ii). Is this the type of website design service your organisation might benefit from? iii). Would what we are proposing fit into your goals? iv). Are we in agreement that this service is a solution to your problems? In certain times, the client may insist that you benchmark on a particular website they saw and liked. Though this is fast, it could kill creativity. But it’s ok, as long as the customer remains king abi? Benchmarks from the client also could save you tones of time for researching what the client may not be ‘tripped’ about. In the same vein and from my experience, it could also delay the project at hand. Some clients are quite fastidious when it comes to getting what they want. 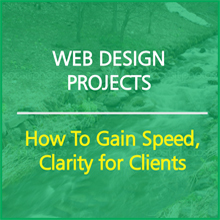 I had a client delay a web design project for close to one whole month on the premise that he was always finding something new on the web we could add to his website. At the end of the project, he wasn’t still satisfied, and till date, refused to pay up the balance of the job. In our business you ought to be prepared for the good, bad and ugly. It’s all part of dealing with customers. In conclusion, as Design Consultants, you will need to keep an open context; a listening ear; ask informed questions; keep an open line of communication throughout the web design project to achieve success in your projects. Please don’t forget to check the page, watch free video sample, sign up, get my free sample eBook from course and get more insider goodies before launch date.